Many hobbyists reach a turning point in their craft when they decide to pursue wedding photography seriously. With the transition to pro comes the task of updating your lens kit accordingly, and most photographers would agree that investing in quality glass is essential. Unlike the rapid turnover of DSLR bodies, lenses will last for years and can make all the difference in creating truly captivating images. Understanding what some of the best available options are will help you invest appropriately in lenses that will capture the most pleasing images. Weddings are long affairs, and often carry on into the evening. The lighting in an event space will rarely be ideal, so having lenses that perform well in low light becomes crucial. Often times, f/4.0 just won’t be fast enough. Keeping a maximum aperture of at least f/2.8 across the board can prevent you from ending up with a lot of blurry throw-away shots. A range of lenses offers a varying viewpoint of the event you’re photographing. The exact same subject photographed at different focal lengths will change perspective each time. This is a great way to encompass a sense of storytelling and elicit an emotional response from your audience. Certain subjects and situations also really lend themselves to specific lenses, and you’ll want to be prepared to document them properly. For example, trying to shoot a close-range portrait with only a wide angle in your kit will result in some highly unflattering images. Another important function to consider is optical image stabilization. Different manufacturers each have their own version of this technology, such as Sigma’s Optical Stabilization or Nikon’s Vibration Reduction. This combats blur from camera shake by analyzing vibrations, and then shifting the image parallel to the focal plane to counteract them. Slow shutter speed is one primary culprit, so OIS is an important feature in any lens you’ll be using in low light. Additionally, longer focal lengths are highly susceptible to blur, and benefit from stabilization technology. Similar to a laser pointer beam fixed on a wall, any shake or jitter grows exponentially as distance increases. It’s also helpful to have the option to turn OIS off when using a tripod, to prevent the system from being confused by a lack of movement. If you’re the type who likes total control, many manufacturers sell manual-focus-only lenses. When shooting at a super shallow depth of field (detailed macros, for example), it can be easier to nail the shot when you're manually selecting the area of focus. These lenses tend to be less expensive than those that come with autofocus, as you won’t be paying for the extra mechanics. But for candid, on-the-fly photos, autofocus is worth the increased price tag. Part of the point of buying quality glass is the fact that it will last for years in your kit. Most pro bodies are designed for heavy use and will withstand some light abuse. The debate between favorable materials varies among professionals, but a thorough examination before or immediately after you purchase a lens can identify issues before they arise. Check that no sections seem loose. Make sure that the focus ring moves smoothly without snagging, and the autofocus motor sounds/feels normal. Wobbles are a sign of impending problems. At the lens mount, make sure there are no missing screws or pieces, and that the lens fits securely into your camera body. The threads on filter rings can also become stripped, so be sure to inspect those as well. Below, you’ll find some of the most important types of lenses to consider for your professional wedding kit, with links to representative samples for each category. There is a huge variety available for each and every camera standard. Prime lenses have a dedicated focal length. While they may not offer the flexibility of zoom, they are often of higher optical quality and performance. Their optimization for a specific focal length means their internal structures are less complicated, making them smaller and more lightweight. Simplified optics also allow for a much larger maximum aperture than many zooms can achieve. This enables them to perform remarkably well in low light and suffer fewer of the aberrations that effect non-fixed lenses. An assortment of fast primes will make it easier to capture sharp candids throughout the day. They’re a great tool for a photojournalistic approach to a wedding, which is a style many shooters favor. A wider angle, around 24mm f/1.4, will cover larger groups. The slightly narrower 35mm will encompass more of a sense of storytelling, and a 50mm can center in on moments with a slightly narrower perspective. Check out the selection of wide-angle primes and standard primes . A medium telephoto prime lens is very effective for formal portraits of the couple and bridal party. The wider aperture allows you to manipulate shallow depth of field to your advantage, using selective focus to give portraits that added professional edge and make them really stand out. An 85mm focal length lens has a narrower angle of view than normal human perspective and is considered a standard portrait length due to its ability to isolate subjects, minimize background distractions, and slightly flatten facial features. Check out the selection of portrait-length primes here. For close-ups, the macro lens is indispensable. Part of photographing a wedding successfully is documenting the details: rings, flowers, cake, décor, pretty little shoes. This becomes infinitely easier and more professional-looking when you use a lens specifically designed for such a purpose. True macros achieve magnification ratios of at least 1:1, which is often referred to as “life size.” At the closest possible focusing distance, the subject will be the same size on the image sensor as it is in real life. Macro focal lengths can range from short to long; the shorter the focal length, the closer the photographer must be to the subject. 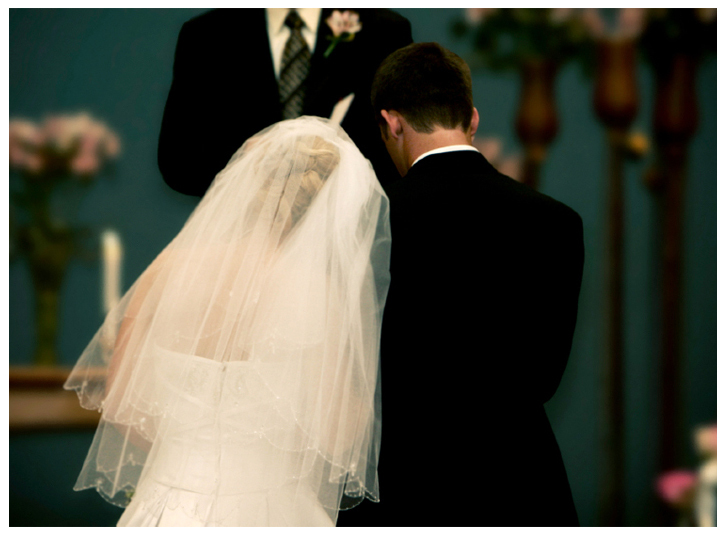 For a wedding, 90-105mm provides a comfortable working distance that will expertly capture the details of the day. Check out the selection of macro lenses here. A 24-70mm f/2.8 is the perfect-coverage lens. Its focal-length range provides the right amount of general-purpose coverage for broader spaces as well as distances that don’t necessarily require dedicated wide-angle or telephoto lenses. This versatility can also save room in your belt/exchange bag as you casually walk around an event space, shooting candid interactions and faces in the crowd. Check out the selection of standard zooms here. To photograph a broader field of view, you will need a wide-angle lens. 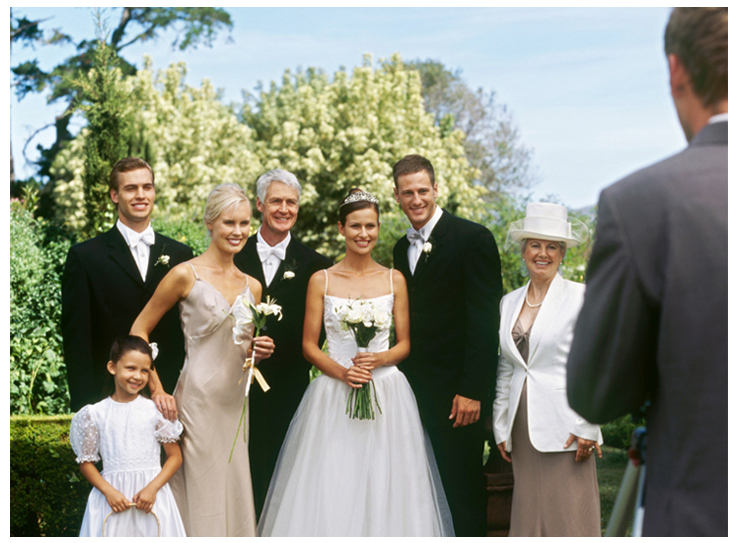 Wide angles are necessities in capturing group portraits, whether it’s the entire bridal party standing at the altar, dancing together out on the dance floor or for formal, posed shots outside. They’re also invaluable for documenting interior spaces and venues that are usually meticulously decorated for the occasion. Short focal lengths offer an immersive point of view that puts the observer in the middle of the action, which is a key element in visual storytelling. Lenses offer a wide-angle perspective starting around 35mm for full frame cameras, and 10-12mm for APS-C bodies. For a thorough range of applications, consider a 14-24mm f/2.8. Check out the selection of wide zooms here. 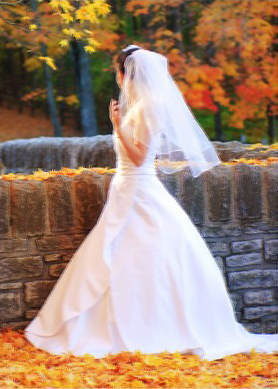 A fast telephoto zoom provides a wedding photographer with multiple areas of coverage. Telephoto is a necessity when photographers are relegated to the back of a house of worship during the ceremony, or for keeping an appropriate distance during any other intimate moment. This is particularly helpful in a larger venue where there is greater distance to cover. Telephoto zoom lenses can be used to capture excellent portraits at their shorter lengths, and details when they're zoomed out to their longer focal lengths. A longer focal length creates a narrower field of view, which at a higher magnification and a wider aperture results in very shallow depth of field. 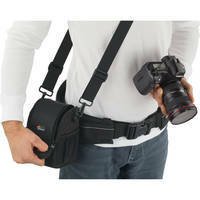 This gives photographers the ability to control blur, eliminating a distracting background in a cluttered environment. The 70-200mm f/2.8 is a mainstay in many wedding photographers’ professional kits. Check out the selection of telephoto zooms here. The fisheye lens can be a valuable tool for utilizing intentional distortion creatively. Able to capture up to 180 degrees of view, they offer an alternative perspective that introduces more of an element of fun. Enjoyable moments of the day such as bouquet and garter tosses, dances, or the bridal party joking around during group formals can make just the sort of novelty shots that liven up a portfolio. There are two types of fisheye lenses available. A circular fisheye projects its entire image circle onto the sensor, creating a “floating” hemisphere surrounded by black borders. This effect is possible at around 8-10mm on a full-frame camera. Bodies with cropped sensors require a circular lens with an extremely short focal length to compensate for the cropped field of view, such as a 4.5mm f/2.8, designed specifically for APS-C. The more common diagonal (or “full frame”) fisheye is useful for getting that “big-picture” effect, and therefore is better suited for a wedding. It produces an image circle that, like with most other regular lenses, is cropped outside of the rectangular image frame. Diagonals can be used with any sensor size, though some field of view will be lost with smaller APS-C bodies. Consider looking at lenses in the 10-17mm in range. Check out the selection of fisheye lenses here. The lens examples listed above are far from the only available options in each category. No two lens kits are the same, and no two wedding photographers share identical shooting techniques. Before you buy, do some research to narrow your specific needs and preferences. You may also want to consider adding some accessories to enhance and protect your lenses, such as filters, hoods and cases. As your glass collection grows, so does the need for easy accessibility and transport during a shoot. This is especially true during the fast-paced agenda of a wedding. Exchange bags keep everything close at hand and conveniently stored. 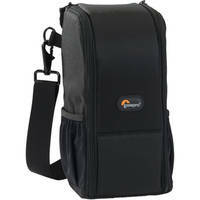 Cases come in various sizes to hold however many lenses you need to bring along. Lowepro has two smaller bags on the market, the S&F Lens Exchange Case 100AW and S&F Lens Exchange Case 200AW, to aid those primarily switching back and forth between two lenses and one body. The longer 200AW fits up to a 70-200mm f/2.8 lens, while the shorter 100AW bag will hold a14-24mm f/2.8 or 16-35mm f/2.8. Both expand into two pockets, when open, to aid in performing one-handed exchanges. The Think Tank Retrospective Lens Changer 3, which comes in gray and black, is a larger alternative that stores up to three 70-200mm f/2.8 lenses. With heavy use, exposure to environmental contaminants is inevitable. Lenses need to be kept clean in order to ensure the best possible image quality. Pre-moistened wipes, such as Zeiss Lens Cleaning Cloths, can be kept in your camera bag for easy removal of fingerprints and smudges on a job. 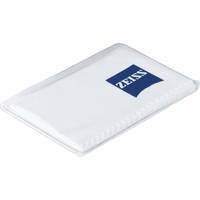 For more detailed inspection between shoots, a Zeiss Lens Cleaning Kit can be a practical investment. Unless you’ve built up a savings just for the occasion, it’s a reasonable expectation that you won’t be able to purchase everything at once. In this case, the best starting point will be a sharp 24-70mm f/2.8. Standard zoom lenses have enough general coverage to jump-start your kit. If you ask, every photographer will give you a different opinion on what to buy next. At the end of the day, the choice depends on you and your style. If you notice your detail shots are particularly well composed, consider a macro next. If you’ve mastered the group photo but need the advantage of increased field of view, make a wide-angle lens your next investment. Building a kit this way ensures that you cater to your strengths, first and foremost. Are you just starting out as a wedding photographer? If you have any questions or comments, please feel free to write to us in the Comments section, below. Is it an expensive kit? Hell no! A full frame camera can give you a nice advantage with high ISO but it's better buy a good complete kit that blow most of the budget on a camera body an don't have money for anything else. Be smart and good luck. I own Nikon 18-105mm, 90 mm macro and 11-16mm ultra wide angle lenses. Hope this will work . i owuld to hear and learn from you people if you dot mind by email by. thanks so much. This article its very usefull for me...thanks a lot. In order for me to give you my best comment on your lens choice, can you please first indicate what specific model camera you are considering the lens for, and also which kit lens you would be replacing it with. Thank you in advance. This is EXTREMELY helpful buying guide. I get confused with standard zoom and telephoto zoom (sometimes). Thank you for this guide. This will be my first time with wedding photography. It looks like a bible for a novice photographer like me!